LotApps Free PDF To Word Converter is a windows softare that quickly converts PDF documents to Microsoft Word formats (docx). you can batch convert portable PDFs to editable Word files with preserving the original formatting: text, images, column and row layout. Convert PDF documents to Word (docx) documents with text, images, layout, etc. 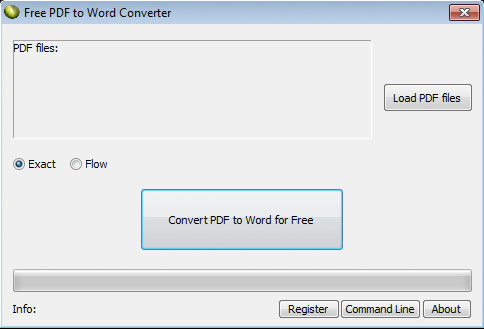 PDF to Word Converter supports Batch Mode that converts a lot of PDF documents into Word docx at one time. Capable to convert password protected PDF files to docx word documents.